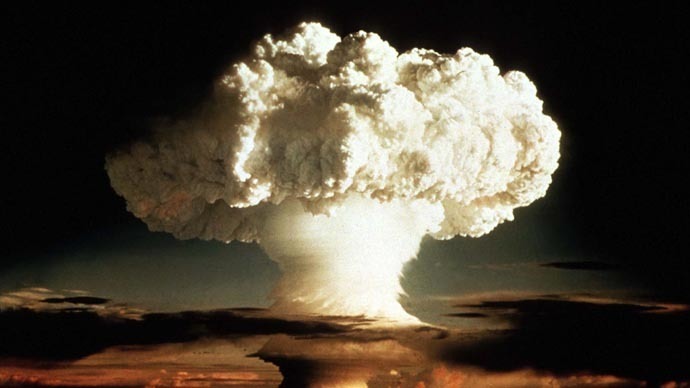 Three minutes to midnight – with midnight being the figurative end of humanity – are left before apocalypse descends upon the planet, scientists announced on Thursday, as the minute hand of the iconic ‘Doomsday Clock’ was adjusted two minutes forward. 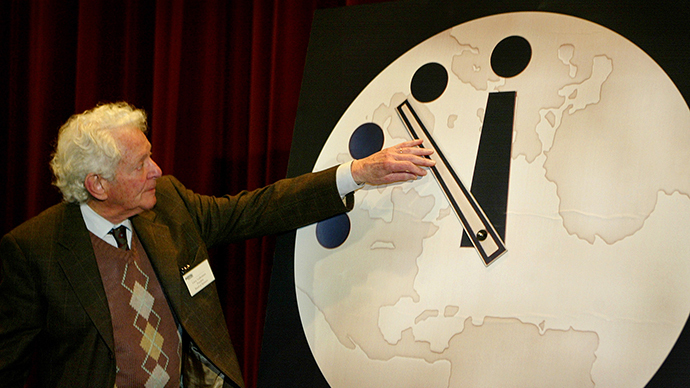 “World leaders have failed to act with the speed or on the scale required to protect citizens from potential catastrophe,” Kennette Benedict, the executive director of the Bulletin of Atomic Scientists, the organization behind the Doomsday Clock, announced on Thursday. 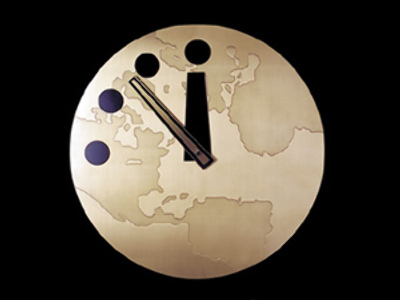 Citing climate change and nuclear tensions, the latest decision to move the minute hand closer to midnight – thus pronouncing the world closer to its doom – was traditionally made by the Bulletin's board of directors and the sponsors, including a number of Nobel laureates.